Mix Neufchatel, dressing and seasonings until blended; spread onto crust. Top with remaining ingredients. Refrigerate 2 hours. 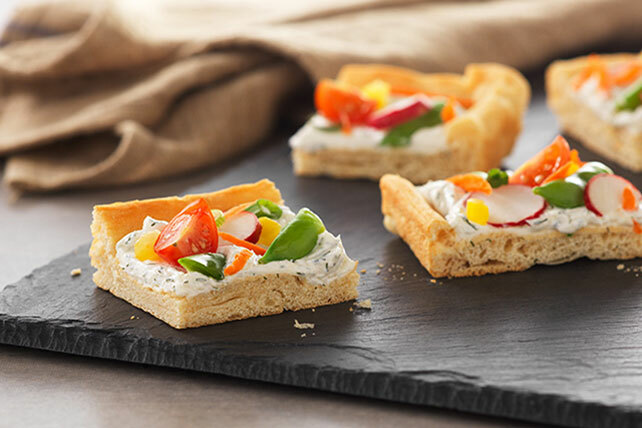 The colorful veggies in this easy-to-make appetizer are a good source of vitamin C.